Milan Lucic #27 sits on, rookie, Mathieu Joseph after checking him. The hit cost Lucic a 10 minute penalty and $10k. “Part of the reason we have Looch [Lucic] here is to take care of teammates, and he did that,” said Todd McLellan who is head coach of the Edmonton Oilers. 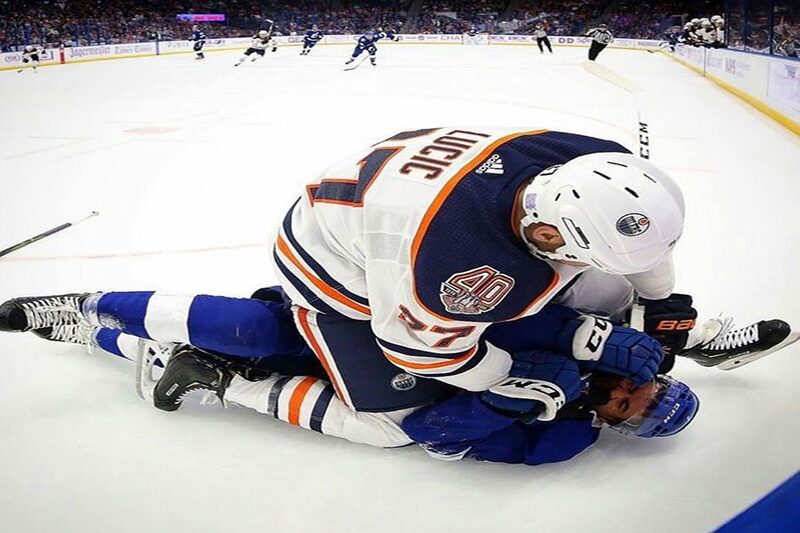 Milan Lucic, assistant captain for the NHL’s Edmonton Oilers, has been fined $10,000 and was given a 10 minute game misconduct penalty, which means he spent 10 minutes in the penalty box for just that, a body check on Tampa Bay Lightning player, Mathieu Joseph during the third period of their game. The incident took place on Tuesday, November 8 in Tampa.The $10,000 fine is the maximum that the NHL can impose without a hearing. Lucic was fined for the “unnecessary roughing” of Joseph. Earlier in the game, Joseph elbowed Kris Russell, an Oilers player, into the boards, but wasn’t penalized. “ [The referees] didn’t make a call,” said Nick Dapolito ‘20, left winger on the HBDS hockey team. After the hit, Lucic went after Josephin order to protect his team. Joseph was challenged to fight three times by different players before the hit. In reality, he was offered the chance to fight on even terms, before Lucic took it into his own hands. The issue with Lucic’s fine is that Joseph is getting off scot-free for an illegal hit, and when asked to fight, he refused. Lucic protected his team from Tampa, taking liberties with them. Hockey is unique in terms of player policing; if a player feels as though a ref hasn’t made a fair call, they take the rules into their own hands. Player policing is vital to the sport, because it allows the team to defend itself and keep the penalties to a minimum. Within hockey, there is the famed, “code” that all player must adhere to. The code is how players view the correct way to retaliate to a dirty play. The code is about keeping players accountable by not overreacting. The code states, “The reason pro hockey players don’t wear face masks at this level, [is because] everybody has to be accountable for their actions. If a player chooses to carry his stick high, run a guy from behind, play dirty, talk smack, take liberties with the other team’s star player or do something disrespectful — then he is going to be confronted and must be responsible for his actions,” according to SportsCenter anchor, John Buccigross. When Joseph did the dirty check on Russell and refused to fight, he spat on the face of the most important rule of hockey. 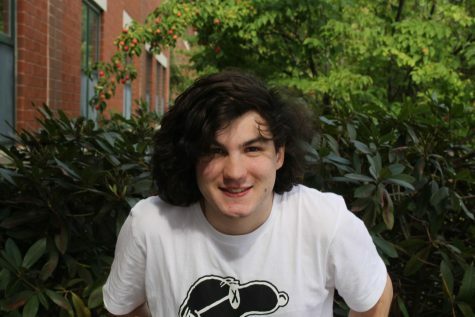 “It’s an unwritten rule of hockey,” said Adain Chretien, center for the HBDS hockey team ‘20. In words of Drew Remenda, analyst for SportsNet, the NHL can’t “have its cake and eat it too.” They shouldn’t be fining Lucic for protecting his team. Since they did however, they should also repremenand Joseph for the initiation. At the very least, the call on the ice should have been made to penalize his hit on Russell. Hockey is a violent sport: there is slashing, fighting, body checking and injuries from concussions to players losing fingers. But hockey is also graceful, with players carefully carve their names into the ice, and passing the puck with the utmost precision across the ice. Fighting and checks are here to stay. The NHL shouldn’t police the players so much. They’re micromanaging the league, and they should take a more relaxed stance on the games.